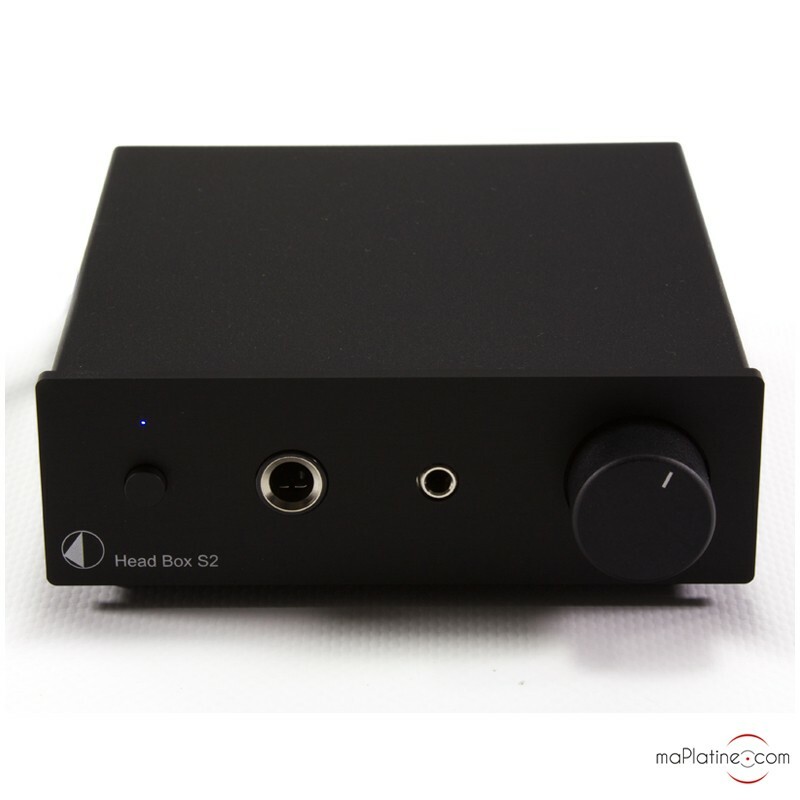 The Pro-Ject Head Box S2 headphone amplifier does not take up a lot of space. 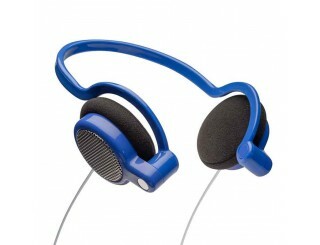 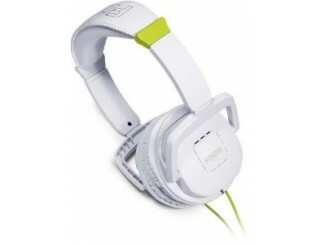 It has a steel and aluminium sandwich casing to protect if against electromagnetic interferences and vibrations. 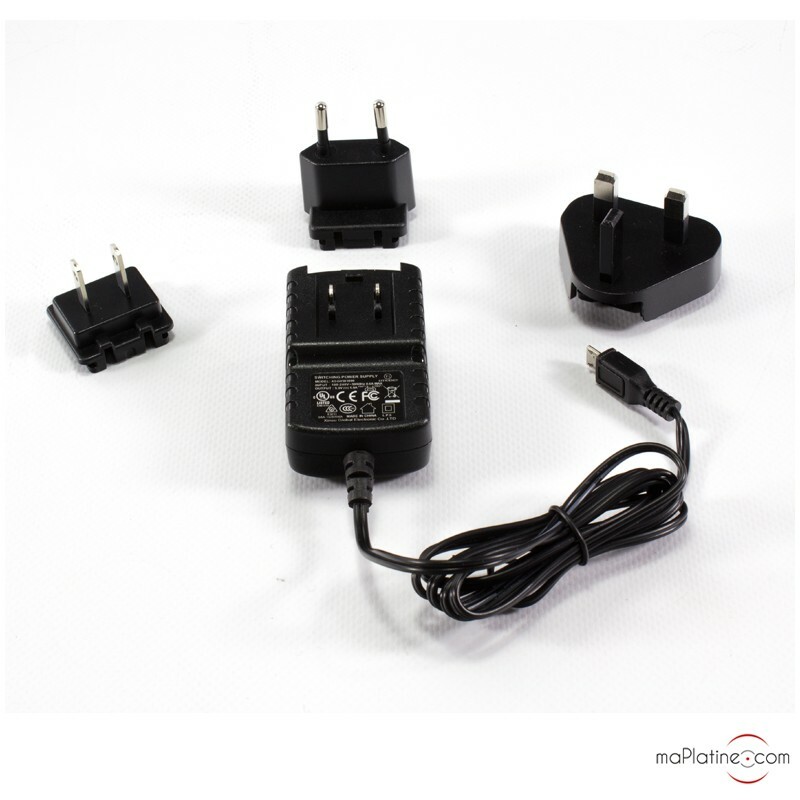 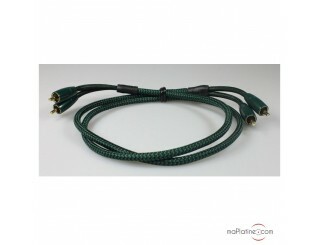 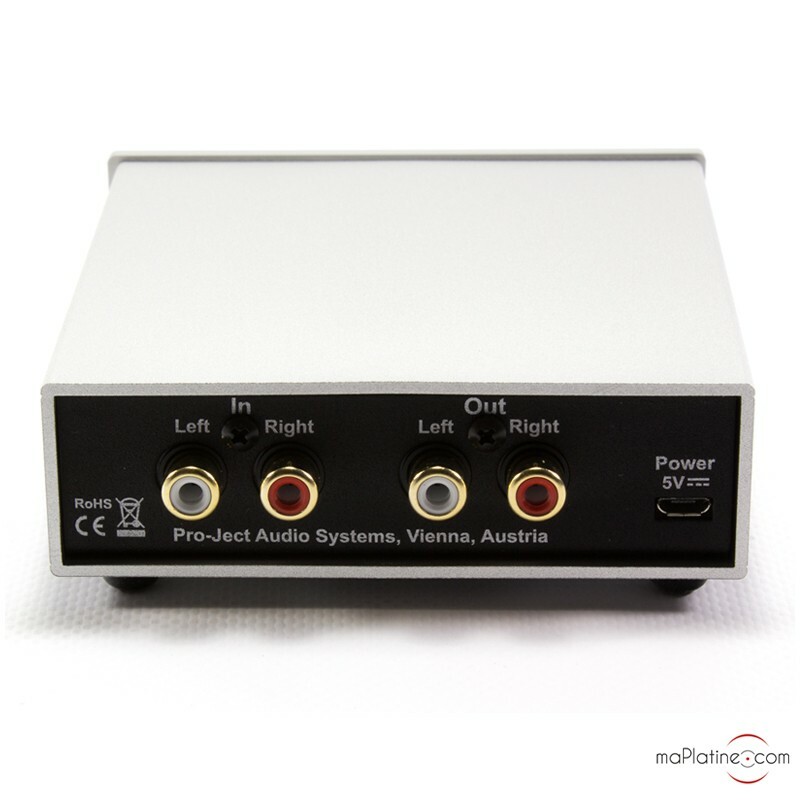 On the front panel, there are 2 jack outputs (3.5mm and 6.35mm) which serve to connect any type of Hi-Fi headphones. 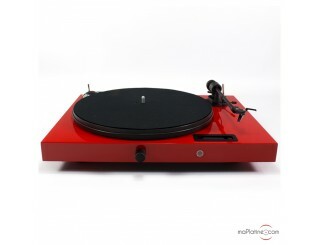 There is also a large volume button. 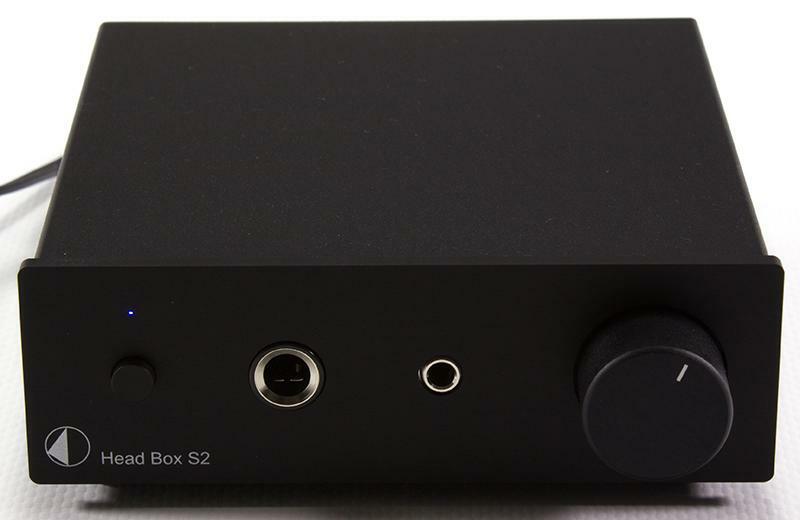 The 2 jack outputs can be used simultaneously so that you can connect 2 headphones and divide the output volume between the 2 headphones. 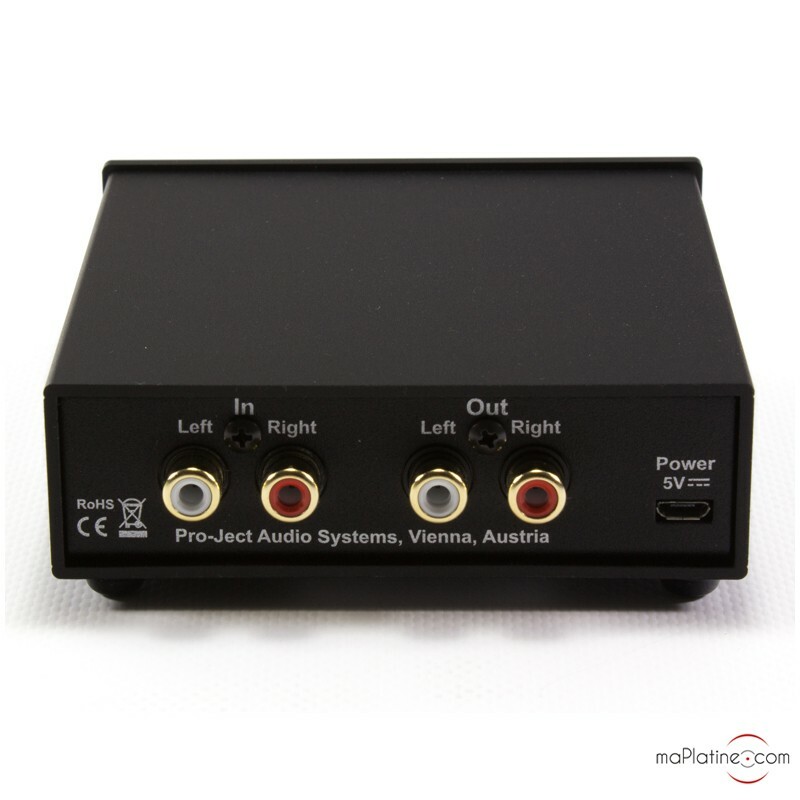 The front panel also includes a small button which serves to turn on and off the device. 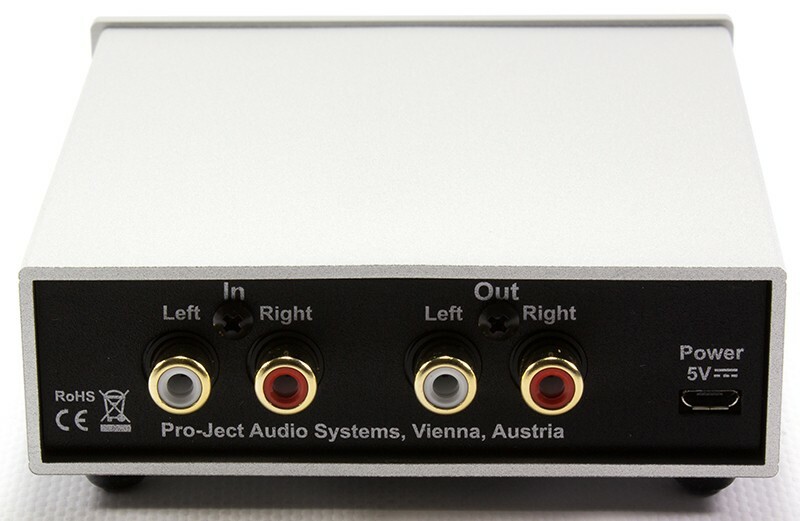 On the back panel, there is a RCA output and a RCA input. 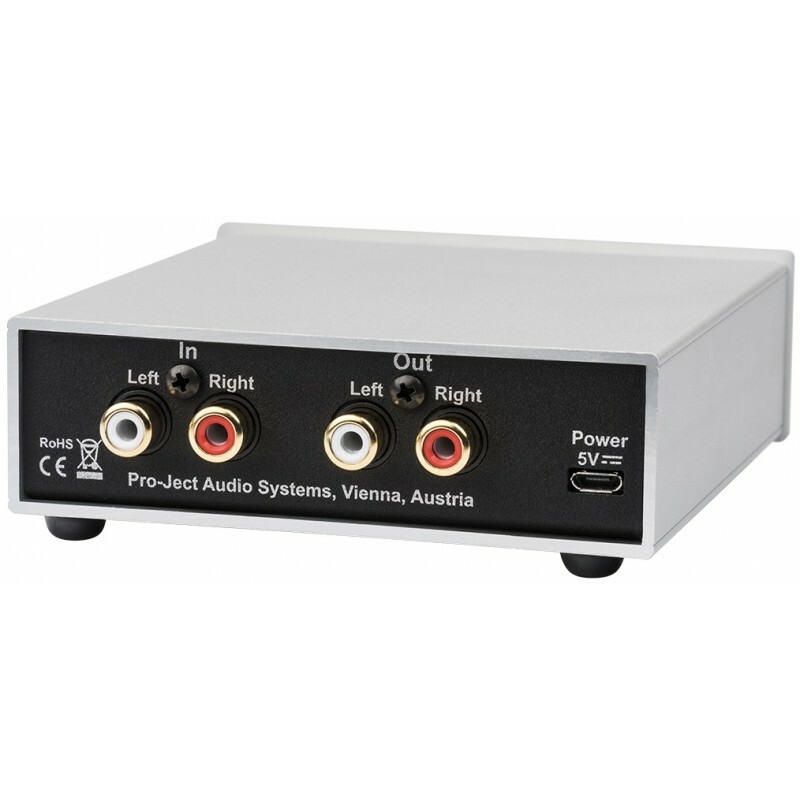 The RCA input enables you to connect the line output of your amplifier or any other Hi-Fi source (CD player, streamer, DAC, etc). 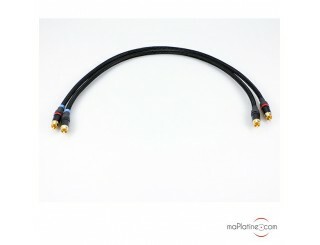 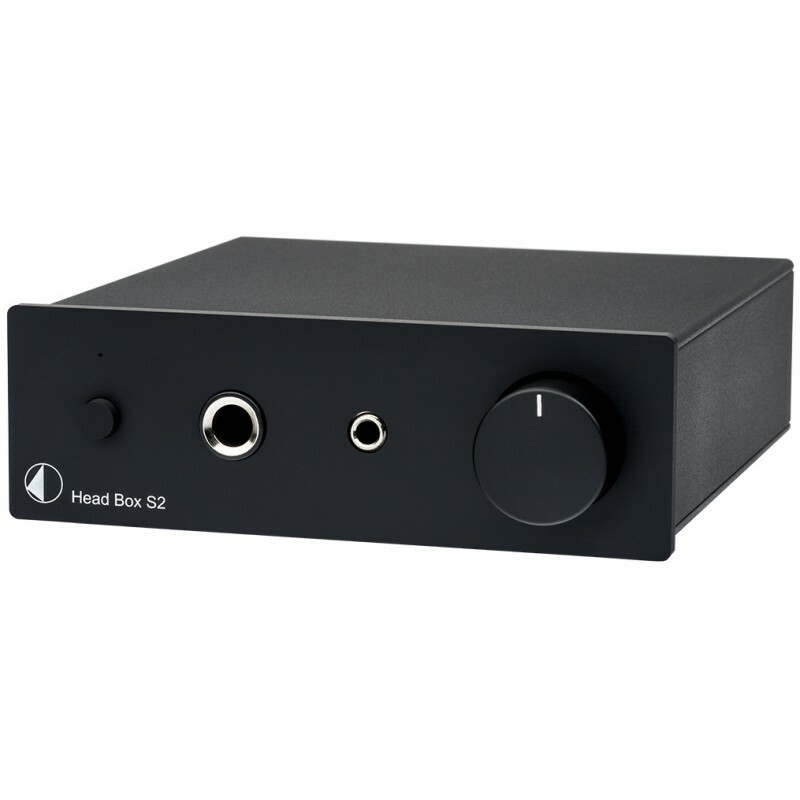 The “loop” RCA output serves to connect the Head Box S2 to another line input on your amplifier. 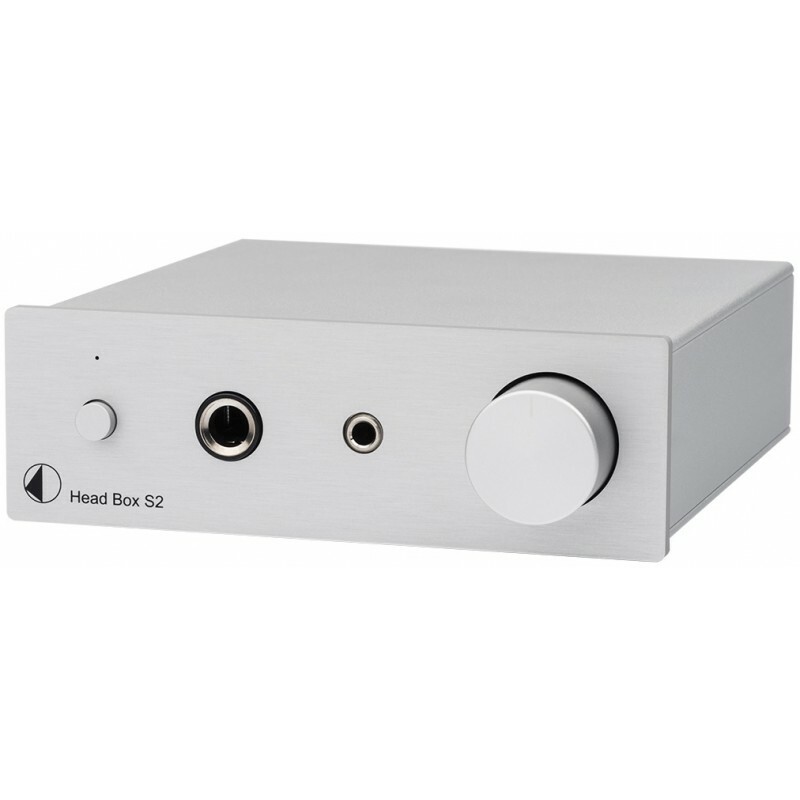 The Pro-Ject Head Box S2 headphone amplifier has a consequent output level that can go up to 725mW, and delivers a rich and dynamic sound that is also transparent. 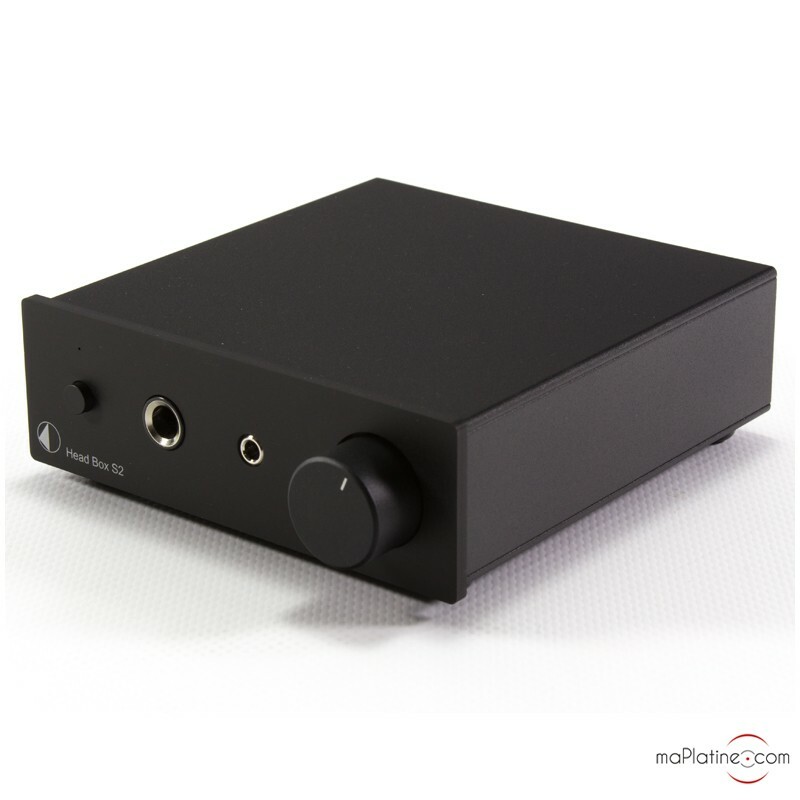 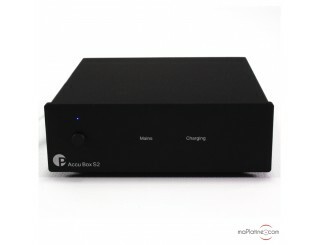 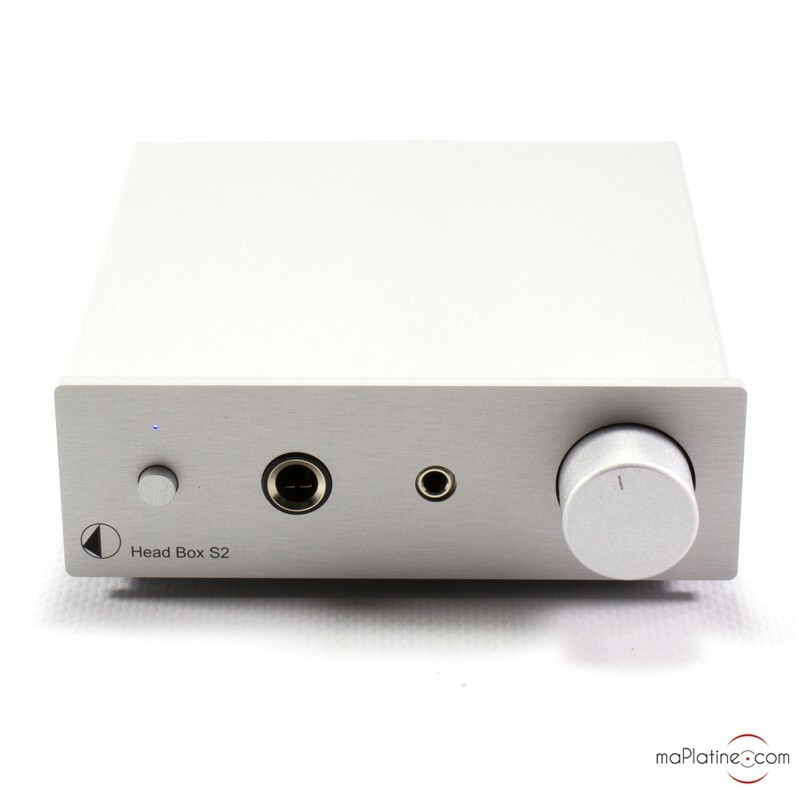 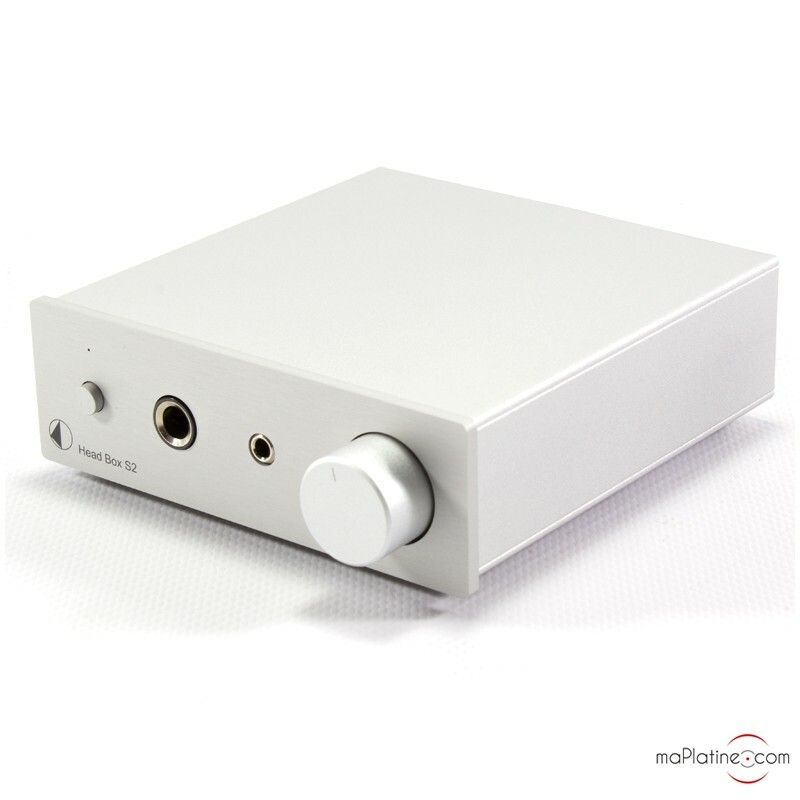 This is a good headphone amplifier at a very affordable price in order to complete your Hi-Fi system !